The house offers a really comfortable stay, with large windows and ranch sliding doors providing all day sun. The home is recently decorated and carpeted throughout. The layout is semi open plan, with kitchen flowing to dining area and lounge provide ample space to cook, eat and socialise. We have thoughtfully equipped the house for family use, the spacious kitchen is a pleasure to use, with a plentiful amount of new equipment. New quality beds, bedding, and electric blankets, ensure a good night's sleep. Guests consistently comment that the house is clean, well equipped and well presented and more than met their needs for a relaxing stay . The house is heated by a large central woodburner, with dry wood supplied, additional heaters in bedrooms. 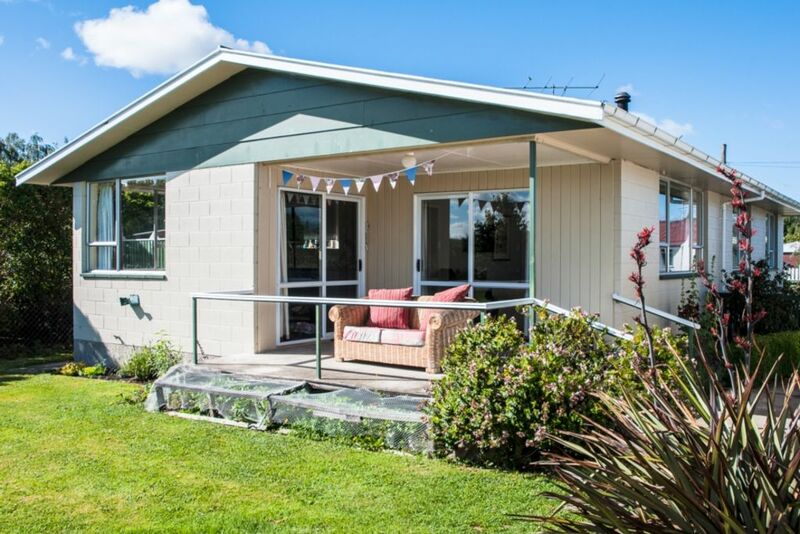 The generous sized family home sits on a good sized level section, with picnic table, tranquil rural views, easy walking to village amenities.Garage offers a great place to dry out skiing gear or store bikes/boats, as well as a table tennis table. The quiet, historic village of Mt Somers offers a relaxing slow pace. Village amenities include the characterful general store, domain, tennis courts, outdoor pool, village pub and restaurant, as well as local walks. Mt Somers is wonderfully positioned to enjoy and explore the stunning geographical area of Canterbury high country, with its many, year round, eco tourism opportunities. DOC managed, Hakatere conservation area borders the village, offering tramping and bird watching. The starting point for the popular Mt Somers track , one or two day walk is just 10km away. Mt Somers is en route to the high country lakes, Clearwater, Heron and Camp, with mountain biking, tramping and boating on offer. 8km to Staveley, great country cafe, beech forest and waterfalls. 25 mins drive to Methven and the start of the Mt Hutt ski field access road. 30 minute drive to either of the characterful country towns of Geraldine or Ashburton. Pets allowed outside only, with prior approval. On occasion a bond equivalent to one night's stay may be charged. Stunning area of natural beauty to explore, tramps, skiing, boating, many ecotourism opportunities. We loved our stay, warm and beautiful view, close to Mt Hutt. So much to see and do we needed to stay longer! Really enjoyed our stay. Tidy quiet home with some nice extra touches. Thanks for letting us stay. Amazing property, it was lovely, warm and cosy and clean! Amazing property, it was lovely, warm and cosy and clean!! There were 5 adults in the house and plenty of room for all of us! Well set up with games etc to keep you occupied if required! We would all highly recommend this to anyone! Clean and tidy home. We would rate this as one of the best homes we have stayed in. Well provisioned with comfort for the renter at the forefront of the set up here. Grateful for the wood in case we needed it, warm beds, foodstuffs in the pantry. Even down to the thoughtful leaving of Easter eggs ??. Thank you so much for a wonderful stay.